ARM has announced new products that double the speed of current models, and are being made available to manufacturers this year. Consumers won’t be seeing these electronics appearing in commercial products until next year, but it provides a tantalising glimpse into the next generation of smartphones and tablets. 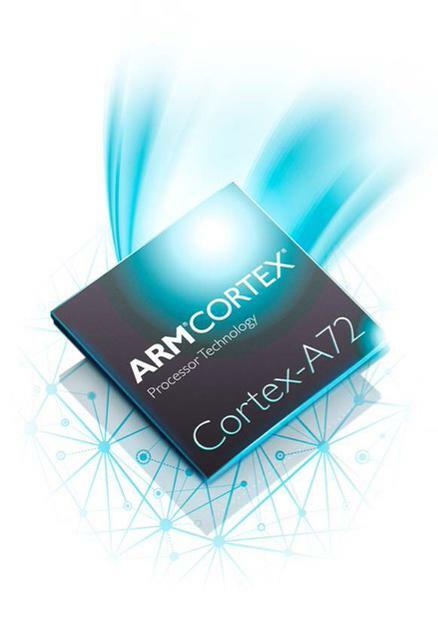 The Cortex A72 is a 64-bit ARMv8 processor that promises to be twice as fast as the current Cortex A57 and 3.5 times as fast as the Cortex A-15. What this actually means is still unknown as no benchmarks or statistics were provided, but it is known that the A72 will be manufactured on the 16nm process. It will also draw 75-percent less energy for the same workloads; which, in theory, will increase battery life. Alongside this is a new Mali T-880 GPU and Corelink CCI-500 interconnect. The new GPU will be 1.8 times as powerful as the current Mali T760, while the new Corelink will double the amount of system bandwidth available to SoCs. With most processor makers relying on ARM architecture and designs, it looks like the 2016 batch of smartphones will get a massive bump in processing and power. Both Samsung and MediaTek rely on ARM designs for their own SoCs, and this news will give consumers plenty to look forward to. Especially with Samsung looking to use its own chips in coming flagship devices.